Head transplants sound the most crazy futuristic scenario imaginable. Right? But not to entomologists. They’ve been transplanting the head of one insect onto another for 90 years — while keeping both insects alive. What can you learn from giving an insect a total head transplant? Sometimes, it seems like science deliberately enjoys springing stuff on you. I was reading through a book by a biology professor, describing the insects in the woods around his home, when the book casually mentioned that they knew certain things about the development of moths because he’d performed brain transplants on them. This seemed to me to be a spectacular instance of burying the lede. Insect development is very nice, but brain transplants are far more electrifying. The entire process seems to have started in 1923, when a biologist named Walter Finkler reported that he had managed to successfully transplant the heads of insects. He’d been working with water boatmen, meal worms, and common butterflies – both in adult and grub form. The transplantation process was not complex. He’d grab two insects, cut off their heads with sharp scissors, and switch them. The fluid that the insects themselves leaked cemented the new heads in place. After a little time — a 1923 article says a few weeks — the insects were healed up and doing whatever their new heads told them to do. Finkler claimed that the heads of female insects on male bodies continued female behavior, and the head of one species of butterfly kept the habits of its own species, even when its body belonged to a different species. This announcement excited a lot of comment. Throughout 1924, journals were publishing letters by different scientists weighing in on the issue. One scientist, J T Cunningham, wrote in saying that, not having any other insects available, he tried the experiment with meal-worms. Although the meal-worms seemed to live through the operation, only the bodies were responsive to stimulus. The heads, far from guiding the bodies, seemed utterly dead. To Cunningham it looked as if the entire experiment showed that insect bodies could live on unguided, rather than that they’d react to new brains. Other scientists fought among themselves, with some skeptical of the experiments and laughing about how “a male head led a female body into unwonted perversities,” while others wanted the subject taken more seriously. Apparently the second group carried the day. Today the transplants are taken quite seriously — at least seriously enough to be a regular part of experiments. Bodily function requires, in most species, input from both the body and the brain. Although human beings are well known for their inability to manage without a head, insects don’t have the same disadvantages. In a number of experiments, insects are either decapitated or transplanted, and the change in their bodily functions is observed. For example, kissing bugs often spread Chagas disease when they feed on humans, and so their metabolism is closely studied. Scientists have studied the kissing bug process of accumulation and processing of carbohydrates. They check on how the brain affects this by beheading some insects, transplanting heads on others, and seeing which processes are either encouraged, arrested, or reversed by the introduction of the new head. A similar process is used when studying the changes in the gut cells of larvae. In most cases, head removal halts development and metabolism, while transplanted heads will overturn the cessation and keep the process going. Most disturbing of all, the brains don’t have to necessarily be added to the head part of the insect. 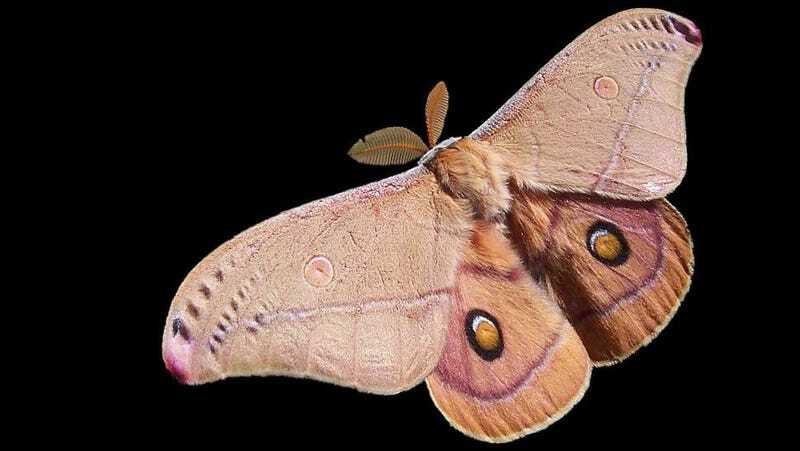 While studying how certain moth pupae know when to turn into full-grown moths, researchers had a hunch that the pupae depended on getting through a winter first. This meant that the pupae had to be exposed to very cold temperatures, or at least their brains did. The scientists grabbed some moth pupae brains, chilled them down, and stuck them in the abdomens of pupae that had never been chilled. Sure enough, the loose brains started releasing hormones that causes the moths to develop. How they managed to go on with brains in their abdomens isn't discussed. Every now and again, the idea of head transplants for mammals, or even humans, makes its way through the news. While the ethics of experiments on humans are very different from the ethics of experiments on insects, it’s worth bearing in mind that head and brain transplants aren’t as unheard of as one might think. And they’ve taught us a lot – including that if insects ever do mutate into huge monsters, we deserve everything they do to us. Via NLA, Nature, Nature, Nature, Summer World, Science Direct, NCBI.